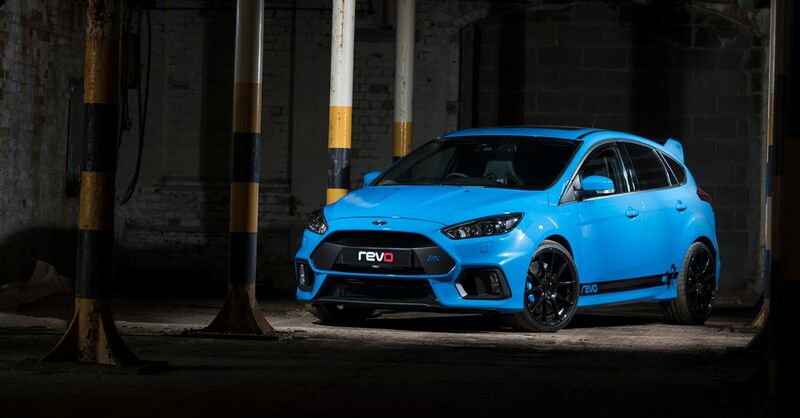 Als je de Mountune upgrades voor de 2016 Focus RS nog net wat te magertjes vindt, dan moet je bij Revo Technik zijn, die doen er nog net even een schepje pk’s bovenop. Now it’s well known that the Focus RS and four-cylinder Mustang share a significant chunk of their engine parts. Bad news for those who miss the five-cylinder Focus RS, but good news for those who want to tune the new car, because the Mustang has given them a head start. Performance is unsurprisingly much improved from standard. Revo’s performance data (see it in full on the website) shows an average 0-60mph time across nine runs for the regular car of 5.02 seconds, alongside a 0-100mph average of 12.57 seconds. With the software upgrade, those figures dropped to 4.45 seconds and 11.16. It even dipped below 11 seconds (10.79) in one run. Fast Ford! But there’s far more to the Revo software than the numbers. It was found that the standard car delivered boost incrementally, offering peak power higher than expected to the detriment of the mid range. Revo’s aim was to deliver additional power throughout the rev range so, while the overall peak gain may not look huge, you can see from the power graphs that there’s an improvement from idle to the limiter. 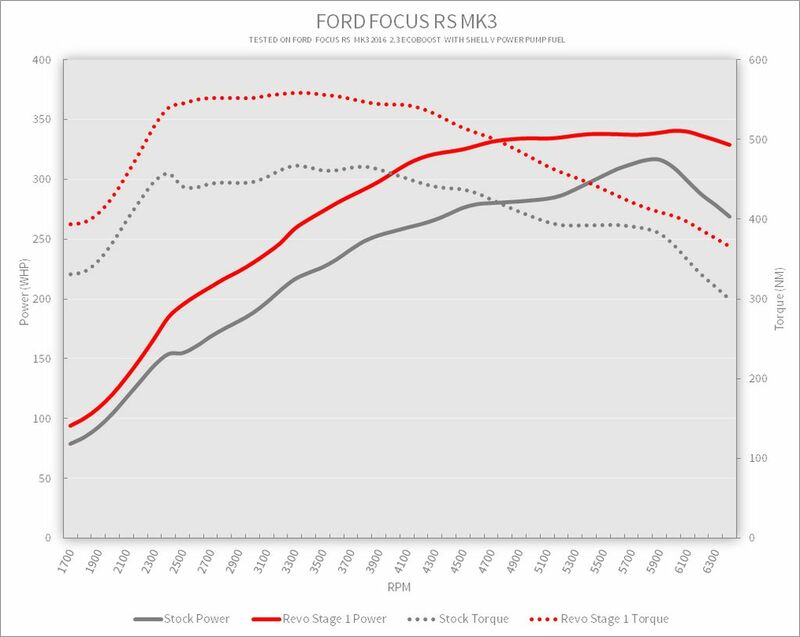 Interestingly Revo’s testing has found that the 2.3 Ecoboost suffers at high temperatures, preventing more power and torque being included in the Stage 1 pack. Moreover, it has incorporated a temperature protection feature as a precaution, reducing engine power when a sensor detects the intake air temp is too high. As well as this, to prevent any damage at cold temperatures, the Stage 1 software limits revs until the oil temperature is up. So it’s more than just an ECU reflash for huge power, the Revo work more thorough than that. Of course you don’t have the warranty support offered with the Mountune pack, but that’s always the case with aftermarket tuning. The Stage 1 Revo software costs £499 excluding fitting, and we’ll hope to get a drive as soon as possible. Stay tuned!